Фотобанк РОСФОТО - микросток. 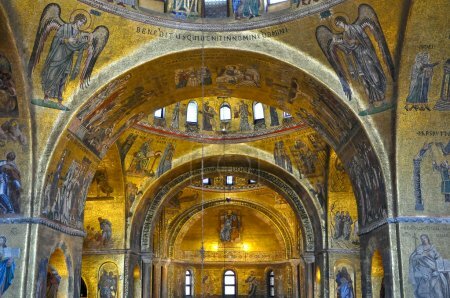 Лицензионные Фото, Видео, Музыка - Interior of St Mark's in Venice, Italy. Interior of St Mark's in Venice, Italy. XL 4190 x 2782px 15 Mb. Interior of St Mark's Basilica on June 15 in Venice, Italy.